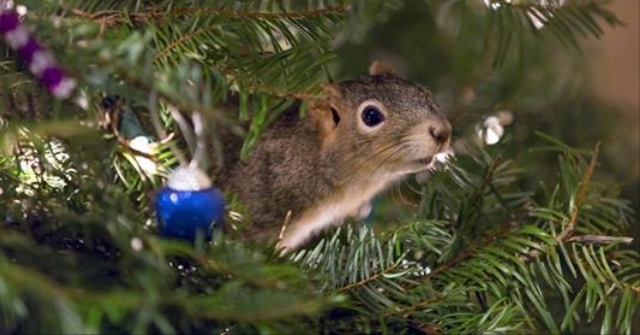 One lucky squirrel was given the greatest gift this Christmas — a fresh chance at life, and a cozy place to spend it. Earlier this month, a Reddit user named Chris and his wife welcomed the furry young animal into their home after discovering him injured and twitching on a road in the rain. By the time he was brought to safety, it was clear that the little squirrel would not have lasted much longer without their help. 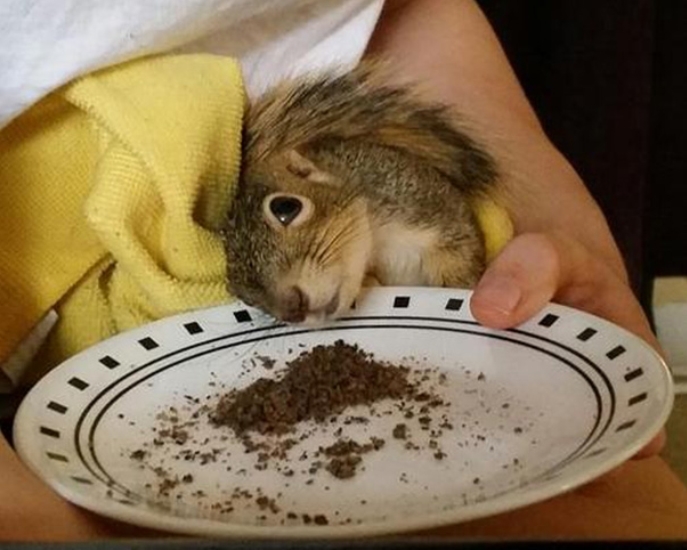 Thanks to the family's efforts, the squirrel, who they've named Mitten, now seems to be doing much better — though, as Chris says, he'll never be fit for release back into the wild. That being the case, they're dedicated to making things as pleasant and homey as possible for Mitten as he lives out his days with them — including letting him hone his climbing skills with their Christmas tree. 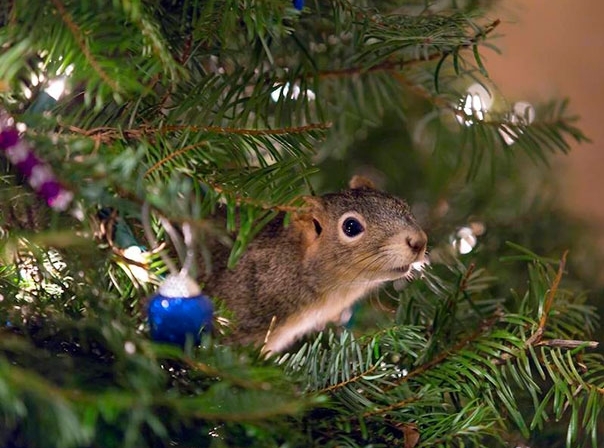 "My wife was playing with him near the tree, and he acted interested in it," said Chris. "We decided to let him wander, and he went right to the tree." Since Mitten's new tree won't be around forever, Chris is already working on building a large permanent enclosure for him inside the home. Meanwhile, the family is working with experts from a wildlife refuge to find out more about how to give their little rescue the best life possible going forward — and he may end up being one of the first of many. 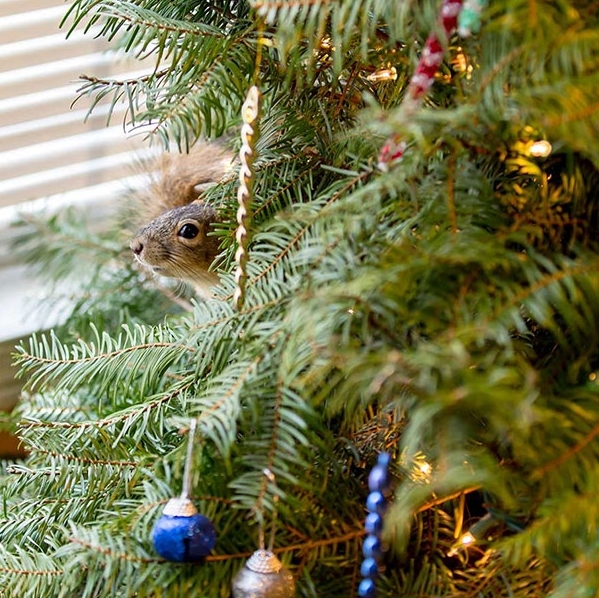 Responses to "Family Saves Squirrel, Lets Him Chill In Their Christmas Tree "
Bravo! Our squirrels do need our help sometimes. 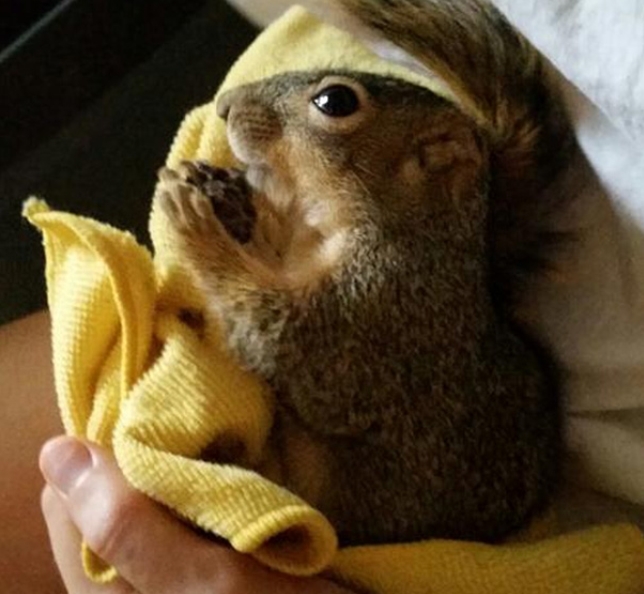 As much as I hate squirrels, I love this story.